David Morton (30) chucked a book at his wife’s head. 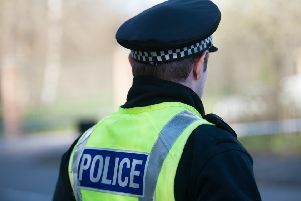 Morton, Brae Lodge, Wallaceston Brae, Wallacestone, admitted the assault to injury he committed at an address in Culvain Place, Hallglen on December 26 last year. He was placed on an 18-month supervised community payback order and told to complete 100 hours unpaid work with four months.